Hi! 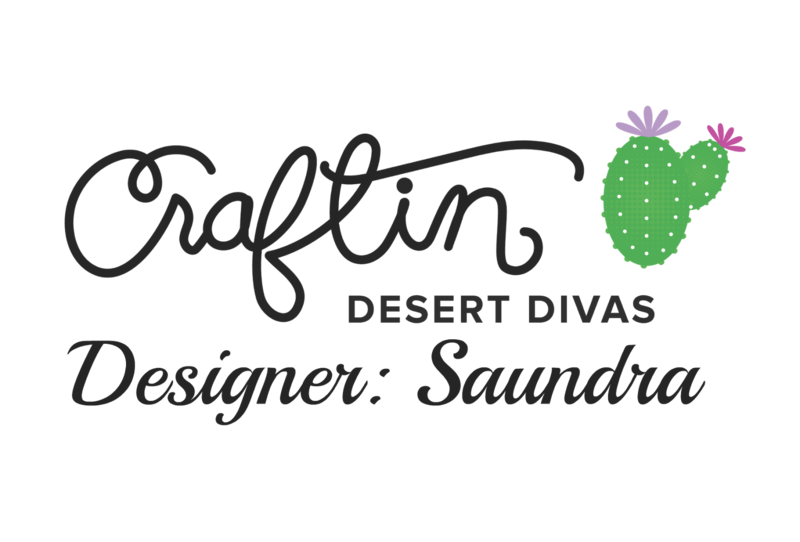 Saundra here to share a sneak peek with you all from the Craftin Desert Divas September Release. 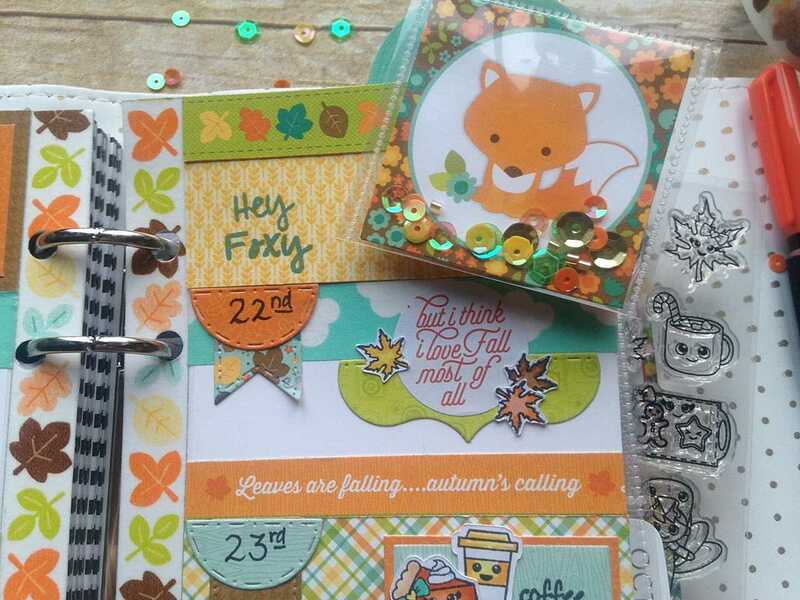 We have 10 new stamps and 2 new dies. for the first few days of the sneak peeks with FREE shipping. 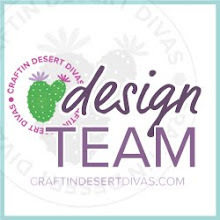 I have a fun project featuring the new Craftin Desert Divas Sweater Weather stamps. 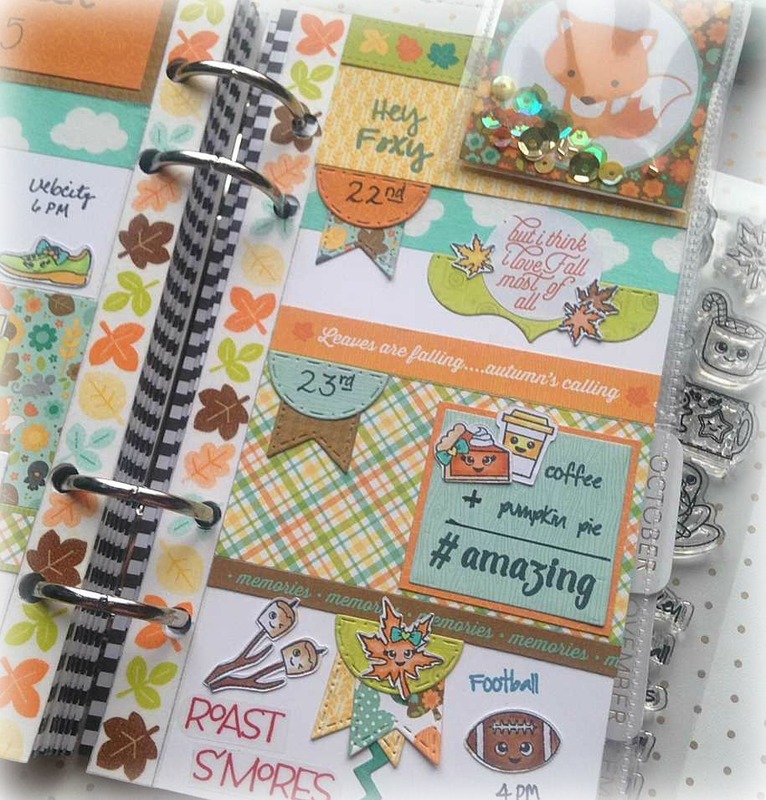 These are the perfect little stamps to use in your planner and that is exactly what I did. I decorated my personal planner in a fall theme because it's the first day of fall!! Yay! 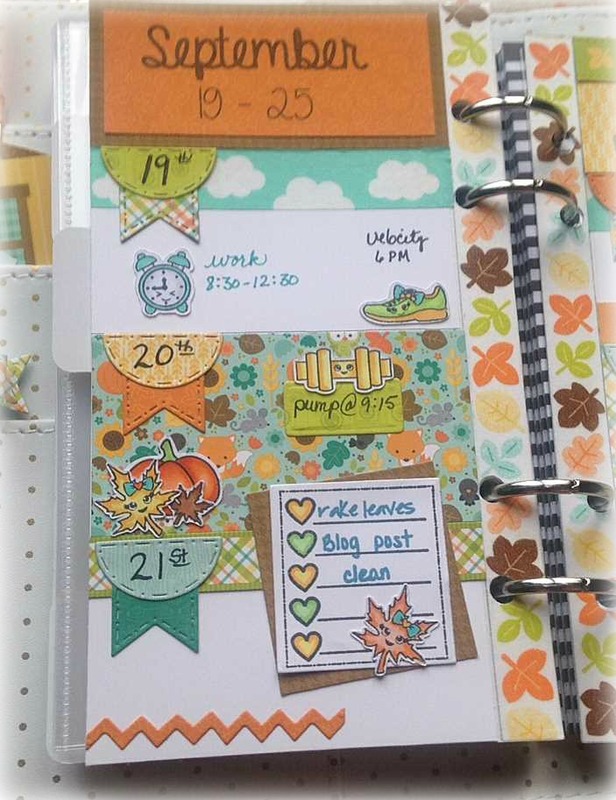 I used some new Doodlebug papers from the Flea Market pad. (It's in the store!!) These colors just speak to me! And the matching washi tape!! Ach! I just had to have them!! 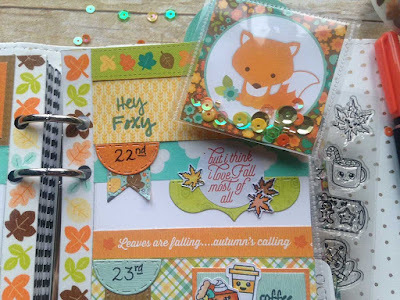 The new Sweater Weather set has all kinds of cute fall images which I used here but there is also some winter images, as well. I colored all of my images with Copic markers and tried to use the same colors throughout to keep everything cohesive. Lastly I made a magnetic bookmark with one of the little card images in the Doodlebug paper. 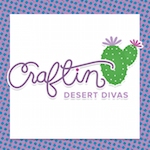 I had to make it a shaker with these yummy CDD sequins! Make sure that you come to the release event on Facebook. 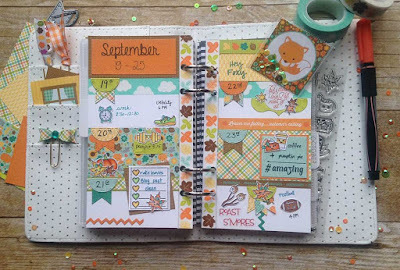 You'll find all kinds of fun happening there and even more projects and inspiration using this same set!